Brad Pitt showed up at Inglourious Basterds photocall during the San Sebastian Film Festival in Spain wearing pretty glamorous and impressive suede shoes with his initials monogrammed in gold on the upper part. 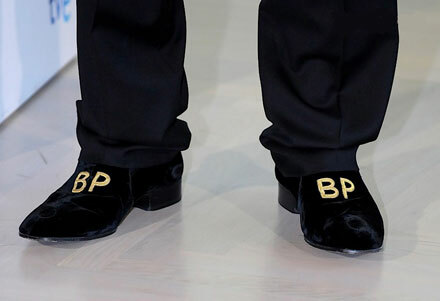 “BP” monogrammed footwear is a gift from one of his assistants, JustJared.com reported exclusively. How glamour vanity of Brad to wear the shoes to the photocall! However, it’s also so sweet he did that, his assistants must feel proud and uber motivated right now. 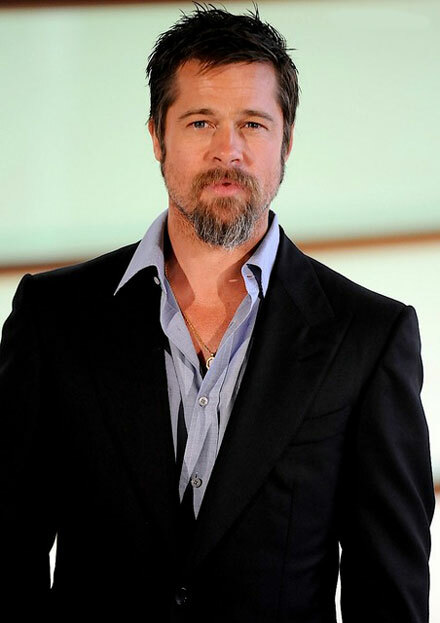 Actually, Brad isn’t the first A-lister to wear a monogrammed clothing or accessory item. Paris Hilton loves wearing t-shirts and jewelry carrying her name, Katy Perry once wore a Katy Perry necklace, but Pitt’s suede shoes definitely take the A-list self-obsession to a brand new vanity notch. Your thoughts about Brad’s fancy shoes?